NEW YORK (CNNMoney) - Apple is pouring $390 million into an American company that helps power AirPods and FaceID -- an investment that will create 500 jobs in Texas. The money will come from a $1 billion fund that Apple established earlier this year to boost U.S. manufacturing jobs. Apple says the cash will help Finisar, a chip maker, restart a 700,000-square-foot manufacturing facility in Sherman, Texas, by the second half of next year. The new plant will create 500 "high-skill" jobs. Finisar produces "vertical-cavity surface-emitting lasers" (VCSELs), which power some Apple's newest features, including Face ID, Animoji, Portrait mode selfies and AirPods. The investment will go toward rebooting a previously closed 700,000-square-foot manufacturing facility in Sherman, Texas. The new plant, which will create 500 jobs, is expected to open in the second half of next year. "VCSELs power some of the most sophisticated technology we've ever developed and we're thrilled to partner with Finisar over the next several years to push the boundaries of VCSEL technology and the applications they enable," Apple COO Jeff Williams said in a statement. 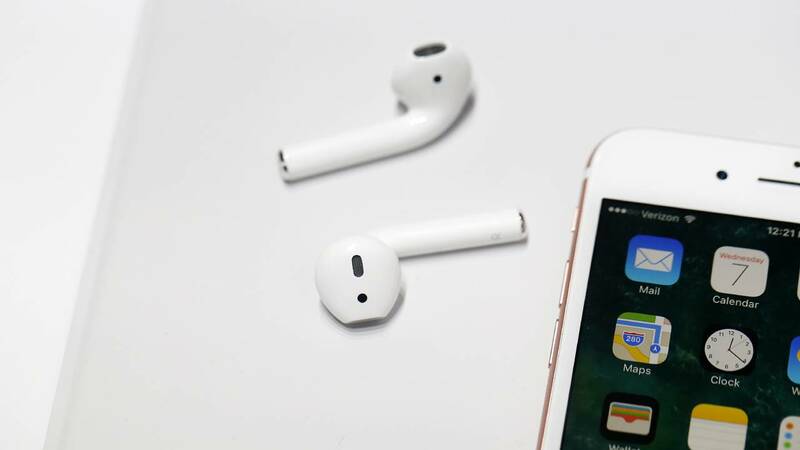 AirPods are wireless earbuds introduced in 2016 as an untethered way to listen to music, take phone calls and use the Siri voice assistant. Its arrival caused backlash for being easy to lose, but experts said it could be the future of headphones. Meanwhile, Face ID -- which debuted on the iPhone X this year -- is touted as a more secure way of unlocking your phone. Considered difficult to hack than other systems, other smartphone companies could take Apple's lead and launch similar features in the future. Related: Tim Cook: Apple creating $1B fund to bring manufacturing jobs to the U.S.
Finisar is the second company to receive an investment from Apple's U.S. manufacturing fund. In May, Apple pledged $200 million to glass manufacturer Corning. The company makes Gorilla Glass displays for smartphones and tablets, including for Apple products. At the time, CEO Tim Cook teased Apple could add more money to the fund, calling the $1 billion an "initial" donation. President Trump has been pushing Apple to move its manufacturing efforts from China to the U.S. On the campaign trial, Trump said: "We're going to get Apple to build their damn computers and things in this country instead of in other countries." In July, Trump said Apple CEO Tim Cook has "promised" to build "three big plants, beautiful plants" in the U.S. It's unclear where those facilities would be located or how many workers would be employed. "If we can create many manufacturing jobs, those manufacturing jobs create more jobs around them because you have a service industry that builds up around them," Cook said of the fund on CNBC earlier this year. The tech giant already relies on some domestic manufacturing. For example, the Mac Pro is assembled in Austin, Texas, and so are its Samsung processors. Other iPhone parts, such as cell and Wi-Fi radios, as well as its Corning displays, are made in the U.S.
Apple isn't the only tech company adding more jobs to the U.S.
Taiwanese electronics manufacturer Foxconn has pledged to invest $10 billion to build a factory that makes LCD screens in Wisconsin. The facility is expected to create between 3,000 and 13,000 new jobs and should be open by 2020.